Our aim is to support locally-led efforts to solve governance-related challenges. We work with partners across the world - civil society organizations, governments, multi-stakeholder initiatives, donors, and others - helping them to design and implement innovative, learning-centered, and adaptive approaches to addressing complex governance-related development challenges. To provide this support, we offer three customizable services, which can be tailored to meet partners’ needs. We use the insights and evidence from our innovative work with partners to inform and influence the behavior of donors, international initiatives, and other organizations that shape the governance and development agenda. We join the dots between issues, approaches, geographies, and organizations, to support collaborative learning and action, and foster a more integrated and effective governance and development agenda. Learn more about our themes, and why they’re central to the governance agenda. Improving governance and solving governance-related problems are complex and fundamentally political processes. Cookie cutter solutions rarely work across different contexts. Instead, effective solutions emerge - and change happens - through locally-led innovation, learning and adaptation. The challenge for organizations committed to supporting progress towards more open, accountable and effective governance, is how to best support local stakeholders as they navigate and shape the political dynamics and patterns of incentives that are at the heart of governance-related problems. Our work addresses this challenge head on. We support local partners - governments and civil society organizations - in countries and communities around the world as they craft, implement and refine solutions to the complex problems they face. 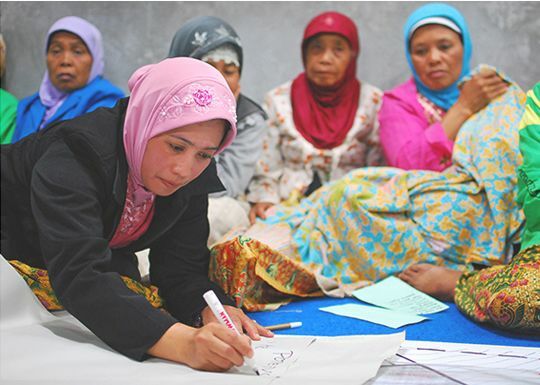 In so doing, we help reformers close the gaps between policy commitments, their implementation, and impact, and contribute to better governance and development outcomes. We use the insights and evidence that emerge from our innovative work with local partners to engage with multilateral and bilateral development agencies, and other external actors, as we encourage them to operate in ways that prioritize the locally-led innovation, learning, and adaptation that is key to solving governance-related problems. 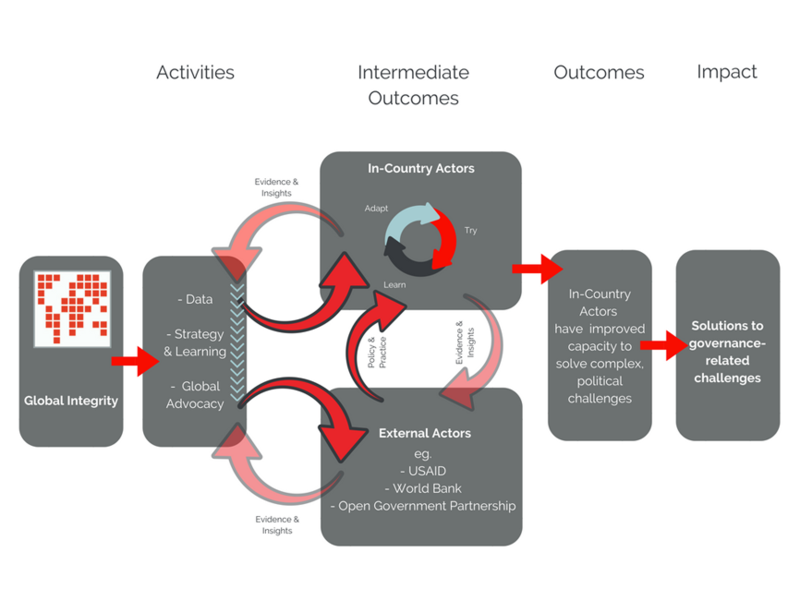 We put this multi-level approach into practice, in different ways, across our work on integrity and anti-corruption, fiscal governance, and multi-stakeholder initiatives, as well as through our stewardship of the Open Gov Hub. Our theory of change is at the heart of everything we do and provides a framework for systematically testing our multi-level strategy. We use our theory of change and associated monitoring, evaluation and learning practices, to track progress, reflect on and learn about our effectiveness, and make course corrections, to ensure that we’re making effective progress towards our goals.